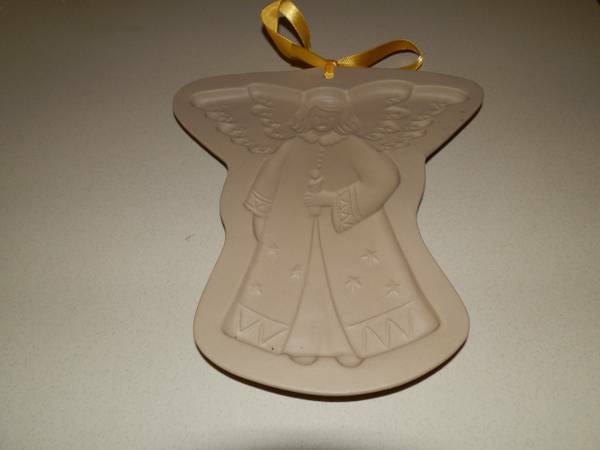 This is an angel cookie mold. It's Brown Bag Cookie Art. It's a heavy stone, not made to put in the oven. 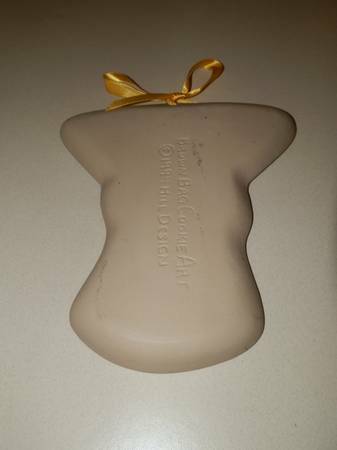 You mold your dough in this, take it out and set on the cookie sheet to bake. 1994 piece. These are also collector pieces. Never used.